We vacationed at Lake Tenkiller for more than 15 years. Our journey to the area started when we lived in Wichita, KS. We were looking for a place we could spend some quality vacation time with our best friends and they suggested Lake Tenkiller. At the time we were not considered as being “lake people”, but was interested in what it would be like to play on the water during the day and then spend time at a cabin during the evening. After the first weekend we were hooked! One extended weekend turned into one week, two weeks then four weeks throughout the year. One week in the spring, two weeks in the summer and one week in the fall. Vacationing with two friends turned into vacationing with 8 to 12 friends. We loved it so much that we even bought personal watercrafts then a pontoon boat. All experienced a great vacation time with friends on the water then off the water with Chef “What’s His Name?” doing the cooking and Genny doing the cleaning up, suddenly it hit us, after 15 years this must be our destiny! We moved here after purchasing property but our friends didn’t (life didn’t permit) so we had a huge void to fill. How could we share this experience with others? Build a bed and breakfast! An experience that delivered being on the water in the daytime, and private lodging being with friends and/or family in the evening. 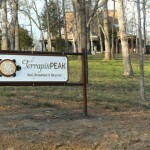 Terrapin Peak Bed, Breakfast & Beyond was born! A bed and breakfast nestled in the foothills of the Ozark mountains two miles from the lake, where every room has it’s own private bathroom, small refrigerator, microwave, coffee maker, TV/DVD/VCR, along with a 9’x12′ mural of Lake Tenkiller. Outside each room has a covered deck, Weber grill, plenty of space for boat parking along with water and electrical hook up. Private space at your room or enjoy the common space at the Lodge that includes a theater room with more than 1,500 movies, pool table and dining area. Get away from the crowd or even some of your group or have space to gather and entertain. So what’s the secret? 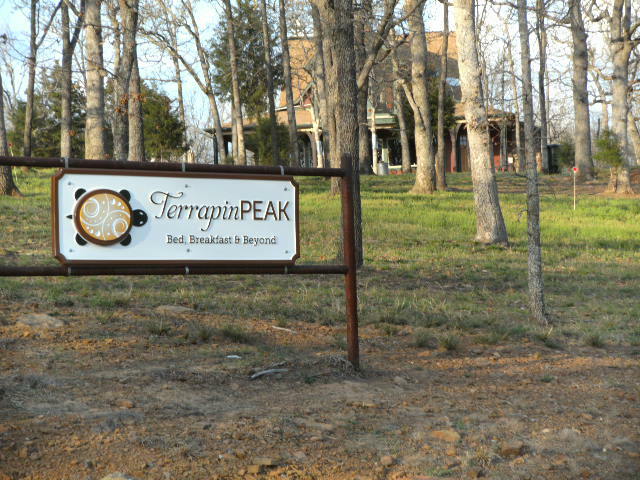 Terrapin Peak Bed, Breakfast & Beyond at Lake Tenkiller provides the best of both worlds. The convenience of being close to the lake and the privacy of your own space to share with your friends. Genny and Chef “What’s His Name?” vacationed at Lake Tenkiller for more than 15 years. 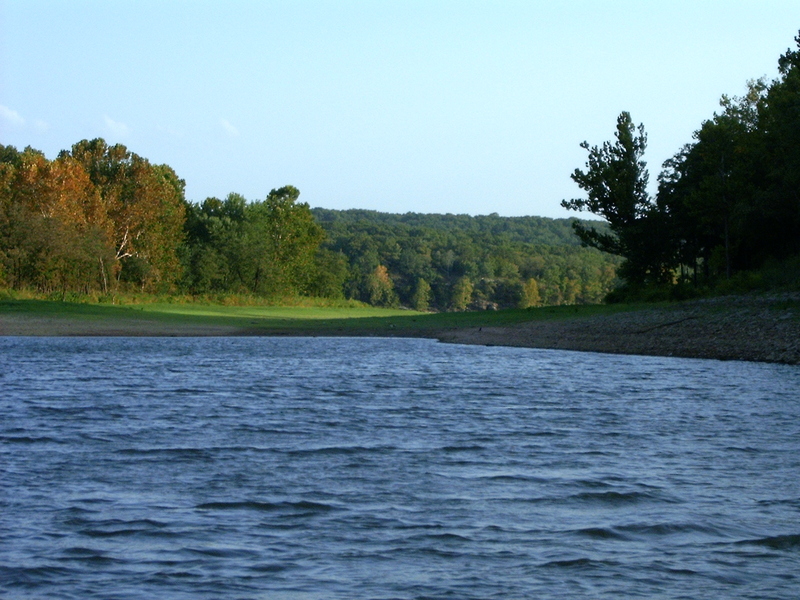 At their special Lake Tenkiller lodging they enjoy sharing their home, life stories and love of the area with their guests. 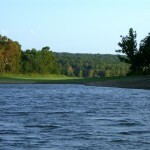 This entry was posted in Lake Tenkiller, Oklahoma B&B, Oklahoma Cabin, Oklahoma Vacation, Summer, Tahlequah Lodging and tagged Bed & Breakfast, Friends & Family, Lake Tenkiller, Lodging, Oklahoma by Genny. Bookmark the permalink.